This chapter explores the migration and early acculturation experiences of genocide survivors, in order to examine how they and their families utilised and/or developed their social capital immediately after the genocide. The chapter examines how individuals and families utilise the relationships they have within their field, that is, how they make use of their contacts that will recognise their status or qualifications in order to aid their resettlement. The chapter then moves on to examine those initial adaptation experiences, considering how genocide survivors left their home countries and what influenced their choice of destination country. 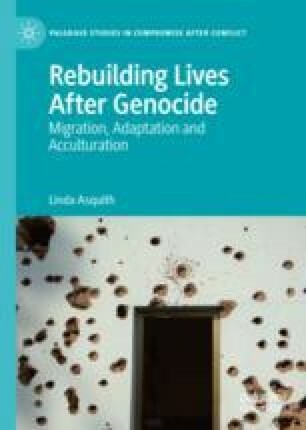 The chapter also considers how the genocide experiences of survivors affected their initial resettlement and the re-establishment of their lives.